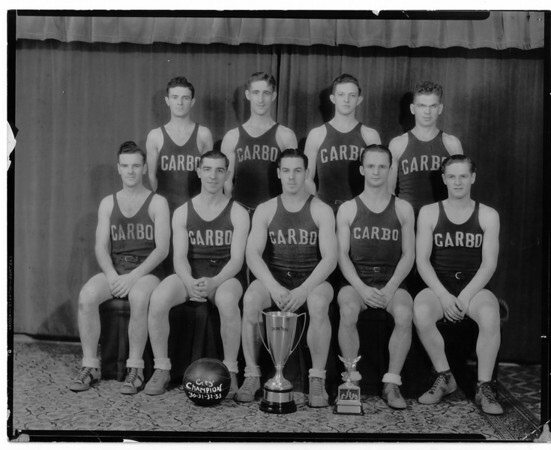 Top Row: Adam Wilson, Marti Blanch, Marshall Holm, Curly Kehoe. Bottom Row: Bob Wilson, Oscar Quinones, Dean Fredricks, Charlie Smith, and Ray Medbeuvy. Photo - By Niagara Gazette - 1933.